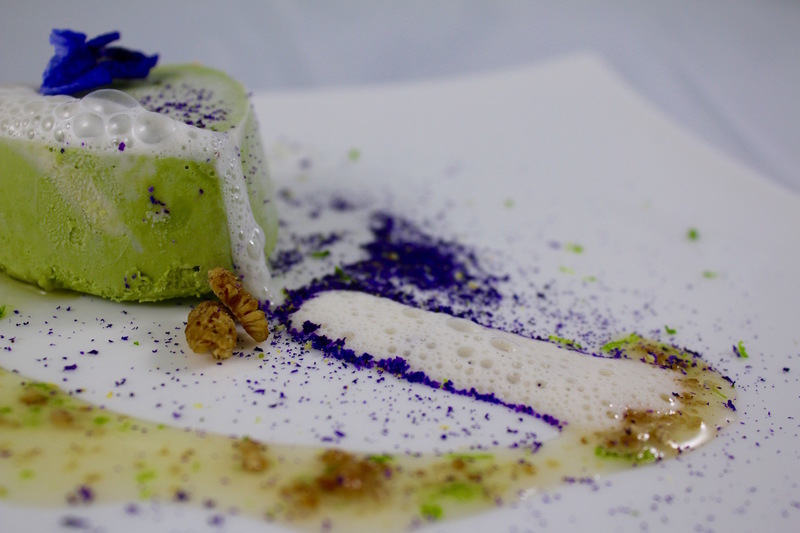 Painting On A Plate - Can Food Be Art? Food can move us the way art can. We don’t need Frozen Chocolate Air a la Ferran Adria any more than we need Tracey Emin’s bed, but it piques our interest. Blumenthal’s Egg and Bacon Ice Cream is not necessary to our diet, but we’re intrigued by it, the same way we were curious about Chris Ofili using elephant dung in his paintings. Hell, a chocolate craving can stir us to get in the car at midnight wearing pyjamas and drive to 7-11 for a Kit-Kat. The fact is, eating is one of the few activities we do that uses all the senses simultaneously. This gives it the unique ability to stimulate our emotions, just like art does. But does that make food art? If tools of the trade are anything to go by, Raw Food Chef and Founder of R.A.W Inside Out, Pauliina Salmenhaara certainly wields her handheld food smoker like a painter applies a palette knife. 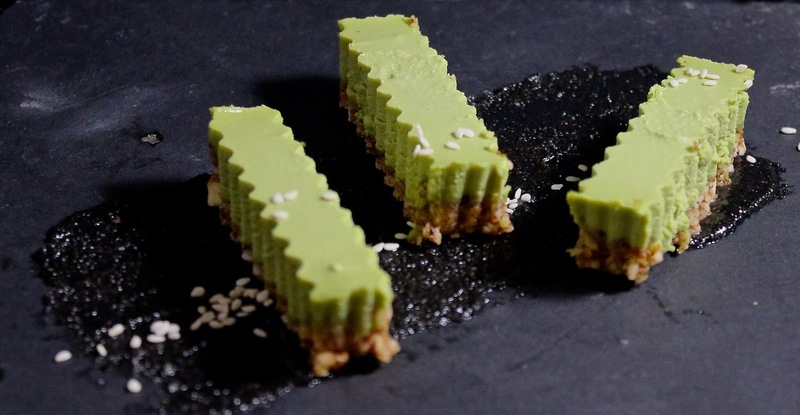 This connoisseur of the senses has been experimenting with creating meals inspired by art through her series of private dinners in Singapore. 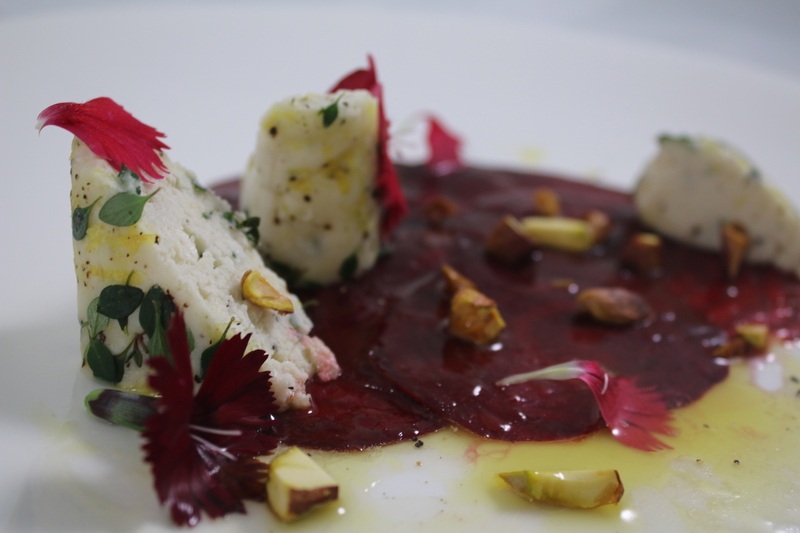 “It really started as a recognition of the beauty of food. So much art is inspired by nature and I wanted to examine that on a plate.” Just like Kandinsky experimented on canvas with seeing music and hearing colour, Pauliina meditates on what a painting feels like and is inspired to evoke that emotion through food. Using proportion, colour and texture, Pauliina transforms a piece of art into another visual sensation using plant-based ingredients as the medium. “Freezing, dehydrating, blending, pulverising, whipping, sprouting and chopping are just some of the techniques I use,” she explains. 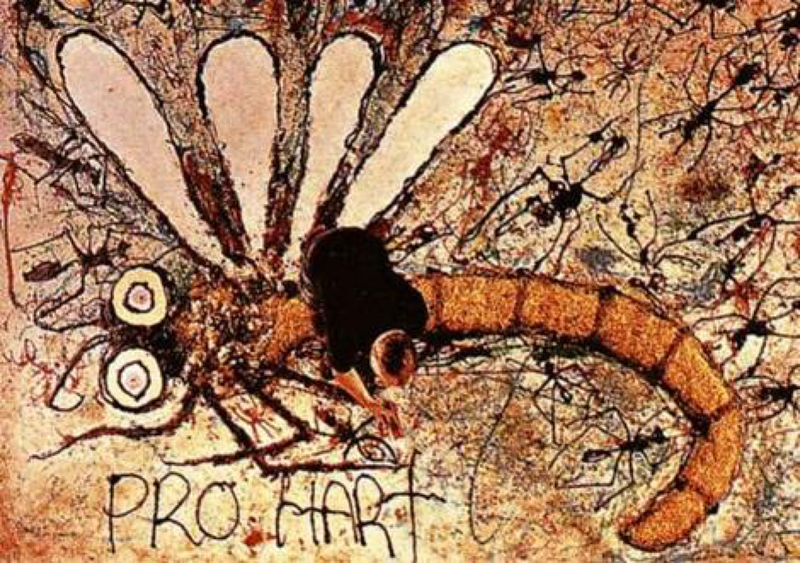 If you happen to be Australian, you might be reminded of the Pro Hart Stainmaster ads of the eighties, where the MBE awardee creates a temporary artwork on carpet using wine, cake, spaghetti, his stomach and a shotgun. 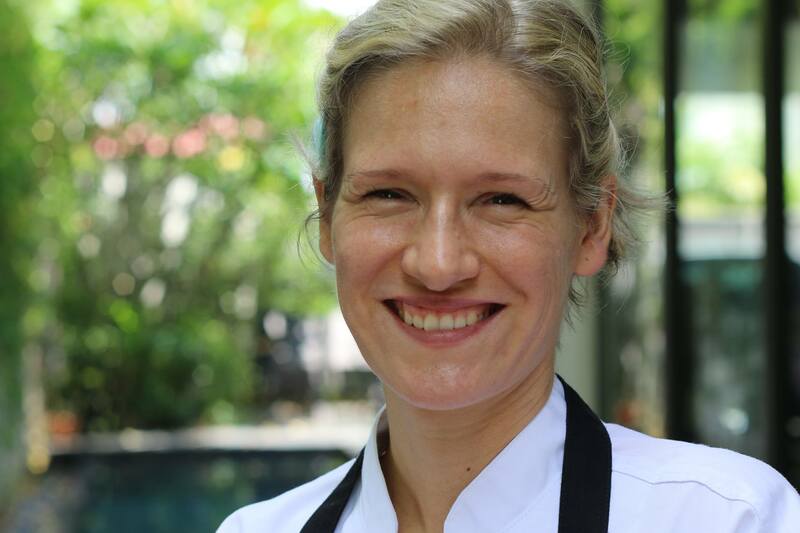 Unlike Hart though, Pauliina’s creations are meant to be eaten and taste is part of the equation. Perhaps this is where art and food elevated to an artistic realm might differ. If you’re paying for a table at El Bulli or Fat Duck you have a right to be wowed, to expect pleasure. While food is allowed to surprise, it’s not readily acceptable for it to shock. It’s certainly not expected to disgust, revolt, or upset. A price tag and the involvement of taste buds suggest that food, no matter how artistic, should please. 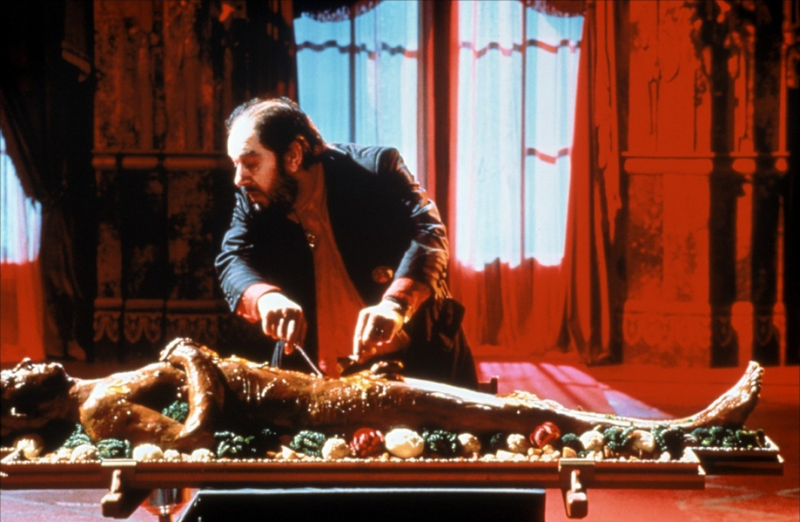 We can pay to watch Greenaway’s, The Cook, the Thief, His Wife and Her Lover and call it art but we don’t want to eat at that restaurant. Art might incite many things but an artist never consciously sets out to please an audience. Or do they? In Japan’s Edo period, pleasure was a serious business and the depiction of the ‘floating world’ of luxury and leisure was the hallmark of the ukiyo-e paintings that developed during that time. Depicting courtesans and opera performers, the influence of ukiyo can be seen in the work of Degas and his dancers. Just because some art happens to be pleasing to the eye does not mean it is devoid of artistic merit. It could follow then that the composition of a dish is no less worthy of importance just because it happens to taste delicious. “I’m interested in seeing how far I can go. The more I learn, the more I want to push and explore. Flavour is important, but the art is in taking what exists and creating something new,” says Pauliina. It could be a stretch though, to declare that the manipulation and assembly of ingredients have the same power of provocation as art. Discovering what an artwork might taste like might be more homage than work of art in its own right. But Warhol painted a Campbell’s soup can with the same irreverence. Buckley’s version of Hallelujah, discovered through the possibilities of JJ Cale’ s arrangement, transformed Cohen’s aural masterpiece into something new while bringing greater attention to the original version. If Duchamp can take an everyday item like a bicycle wheel and call it art, then maybe food can be similarly elevated (goodness knows there’s enough still life paintings of fruit and vegetables in existence). Perhaps, the difference between discerning a tribute and an innovation lies in the motivation behind it. 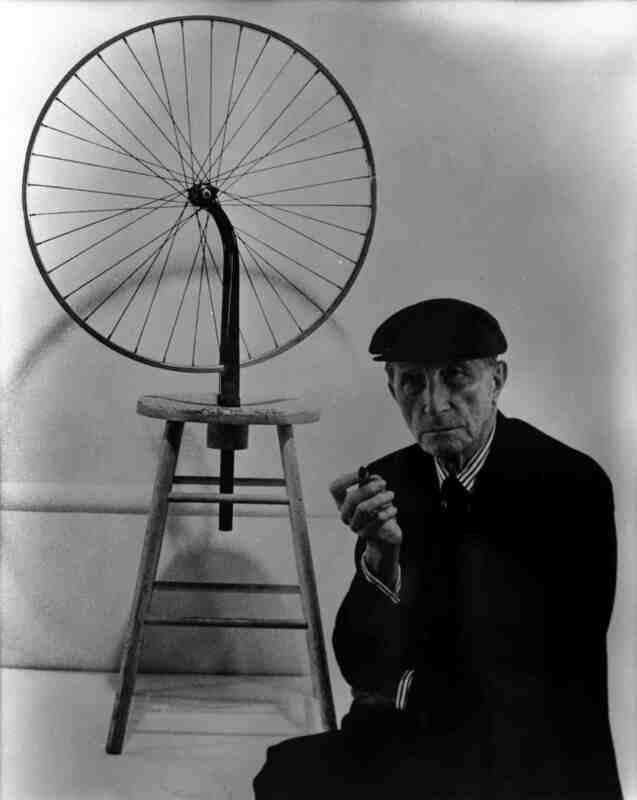 Marcel Duchamp with his Roue de bicyclette (Bicycle Wheel), one of his Ready Made works of art. Pauliina grew up in a home surrounded by art collected by her parents in Finland. “From an early age I understood that art had the power to comment and question.” A desire to make a difference in people's lives led her to move to China where she worked for various charities. But giving birth, being plagued by ill health, and wanting to find greater purpose guided her on an internal journey that has culminated in her becoming a raw food chef, a shamanic practitioner and developing the Six Sense approach to living. Incorporating exercise, mindfulness, food and body care, Pauliina now harnesses the senses to probe and prompt us all in an artistic way. When you see the dishes that Pauliina creates reflected in the context of an art-filled room, it’s difficult not to marvel at their originality. Maybe when it comes to defining whether food can be art, it's best to apply the same holistic thinking that underpins Pauliina’s work. The theatricality and technicality of the whole event brings to mind the Art Happenings that are now being staged by artists around the world – collaborative, one-off events taking place beyond gallery walls that blur the line between art and performance, and where audiences are invited to engage in things like noodle-throwing. Fleeting as they may be, the impact of Art Happenings are intense, just like the flavour of Pauliina’s food.